Vacuum Packaging Machine With Nitrogen Flushing| Vacuum Packaging Machines|manufacturers and Suppliers in Mumbai, India. We bring in for our clients Table Top Vacuum Packaging Machine with Nitrogen Flushing that produced different sizes as per customer's requirement. Moreover, our range of machines is manufactured from quality raw material like Stainless Steel and Mild Steel cabinet with transparent Acrylic window to observe the process. Further, these Packaging Machines find wide application in various industries for varied purposes. We bring in for our clients Table Top Vacuum Packaging Machine with Nitrogen Flushing that produced different sizes as per customer's requirement. 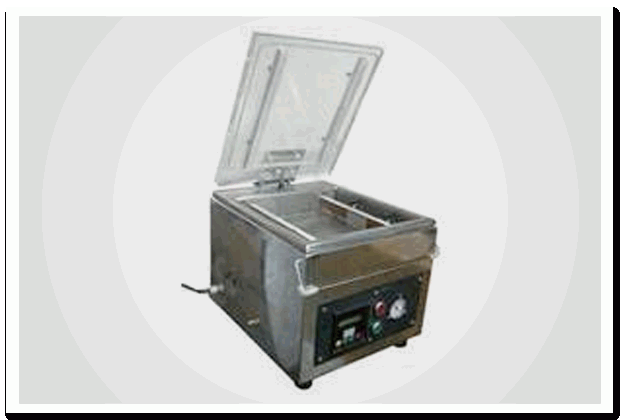 Moreover, our range of machines is manufactured from quality raw material like Stainless Steel and Mild Steel cabinet with transparent Acrylic window to observe the process. Further, these Packaging Machines find wide application in various industries for varied purposes. Furthermore, we offer them at industries leading prices. This machine removes all the air from the pouch before sealing, Giving an air-tight seal. Ideal for food items / grains / spices packing.